BERKELEY, Calif. — The University of California, Berkeley chancellor, who critics alleged was too lenient when handling sexual harassment cases involving high-profile faculty members, resigned his post Tuesday. University of California President Janet Napolitano said she accepted UC Berkeley Chancellor Nicholas Dirks' resignation and that a search for his successor would start immediately. Dirks plans to stay on until a new successor is named and in place, Napolitano said. Dirks said in a message to the campus community he plans to become a full-time professor at the university. "I have come to the personal decision that the time is right for me to step aside and allow someone else to take up the financial and institutional challenges ahead of us," Dirks wrote. 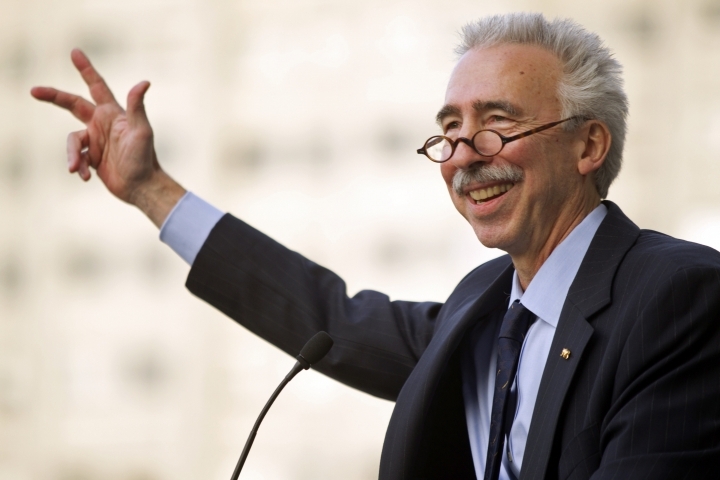 Dirks took office as UC Berkeley's 10th chancellor on June 1, 2013 and during his tenure launched major initiatives to strengthen undergraduate education and to optimize fundraising. But he came under fire for the way he handled sexual harassment cases involving faculty members. In one case, Sujit Choudhry, the former dean of the law school, received only a temporary pay cut and orders to undergo counseling as punishment following an investigation substantiated claims that he repeatedly kissed and touched a subordinate. The university also faced criticism for what some saw as its lax discipline in three other sexual harassment cases involving the campus' vice chancellor for research, a prominent astronomer and the dean of the law school. All three men initially were allowed to keep their jobs but ended up resigning under pressure. In March, Dirks rolled out a plan to address sexual harassment and sexual violence on campus that includes a review board to ensure those who violate the school's sexual harassment policy are dealt with in a firm manner and more resources and staff for the campus office that deals with sexual harassment victims. He announced his plan three days after a UC Berkeley assistant men's basketball coach who was found to have violated the school's sexual harassment policy was swiftly fired. Yann Hufnagel a hired a lawyer to fight the university's decision to terminate his employment. Dirks' resignation comes a week after the embattled chancellor of the University of California, Davis, resigned following an investigation launched about her role in the hiring of image consultants to counter bad publicity from a pepper-spraying debacle on campus in 2011. Linda Katehi offered her resignation Aug. 9, saying that she would return to teaching and emphasizing that the investigation had cleared her of accusations involving nepotism, travel expenses and retaliatory practices.